So this past weekend we had a great last minute surprise….. AMANDA was in town to see us! If you don’t know her we met in College, we are Tri Delt Sisters, Roommates and we were each others Maids-of-honor! This is the definition of a relationship that stays constant even when we rarely get a chance to talk these days! Blessed to have this girl in my life and it makes me even happier that her and Matt also love each other! Friday was girls day out…. shopping, pedis and then we hit the town! I took her to this amazing new place downtown Milk and Honey and we loved it! 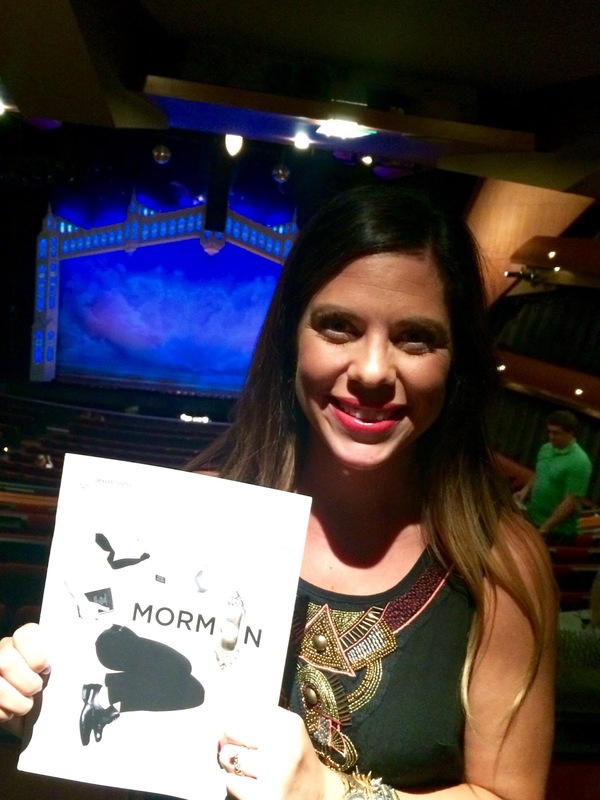 Then Amanda took me to see The Book of Mormon at the Opera House downtown! And I was worried that I have heard so many good things about it that it wouldn’t live up to the hype…. and well… IT DID! Holy crap it was so good and literally a laugh out loud musical! But let me preface that with saying it is HIGHLY offensive! Saturday the three of us took a road trip to Pueblo, Co for the Colorado State Fair! This was the reason Amanda was in town! Amanda is a “BIG shot” at the Tulsa State Fair and she needed to check out some things here…. so we helped her explore! And by explore I mean…. eat our way thru the fair! haha! SO I do NOT ride rides but Matt and Amanda got me on one……. I swear it looked slow and easy from where I stood until I was on it! This was not staged Amanda and Matt laughed at me the whole time and documented my torment! LOL!! Ok, let me get something off my chest about the next 2 pictures….. I am drawn to animals. You know that. Yes, the picture below I literally kissed a baby cow (or 2). I petted every animal I could see, talked to them, hugged them and loved them all over. BUT I was conflicted the whole time. And in fact ask Amanda and Matt… I cried for a good 15 minutes in the middle of the fair. Why? Because the babies where not with their mother, I worried about their well being. They must have been overwhelmed being manhandled so much and like the goat picture below… I contributed to it. It broke me. Are these animals happy? And here I was using them for hugs and kisses. I know they would have preferred to be on the farm with their family roaming free without thousands of people touching them. I wasn’t going to post these pictures, but my intentions were pure. I really really loved these two babies but it is haunting me. I don’t know… I mean these are show animals who are treated well, I get that but it is so much deeper than that for me. This baby goat was so calm and happy in my arms when I loved on it and told it how much I loved it… but I regret it. I don’t mean to be a Debbie-downer but that was my truth. I think of the Gentle Barn stories but, they do look healthy and happy for the most part. It is not with family roaming free though, I understand. Looks like clean surroundings and hopefully, not feeling too bad. I am sure they enjoyed all the loving from you. 🙂 Glad y'all had a great time overall!